A PS4 bundle with Killzone: Shadow Fall has leaked out via the Amazon France website, which lists the bundle costing €499.99 – around £430. 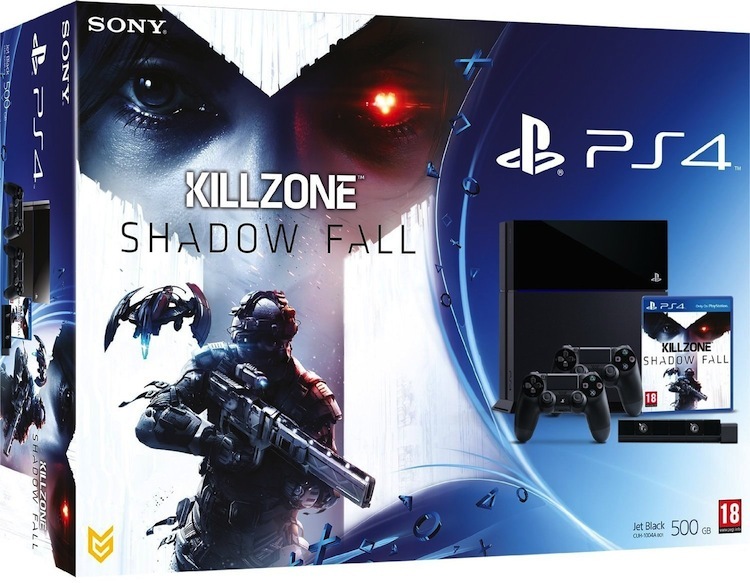 Though the price is higher than the standalone console (which has a RRP of €399.99 / £349), it does come with the Blu-ray version of Killzone: Shadow Fall, an extra DualShock 4 controller and the PlayStation Camera. The bundle saves you around €80 / £70 compared to purchasing the items individually, so its definitely good value if you haven’t already pre-ordered the console. This could also be one of many bundles Sony is planning to release – perhaps we’ll see one with Watch_Dogs or FIFA 14 too. Sony hasn’t made an official comment on the bundle, but you can expect to see something similar in other territories.